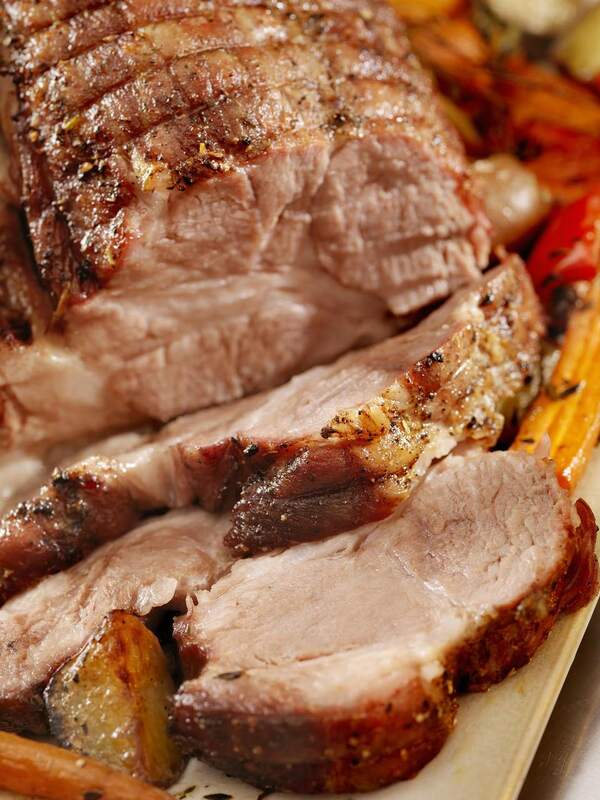 This sweet and tender rotisserie pork is sure to please even the pickiest of eaters. Enjoy with your favorite grilled sides, rice, or noodles. Place pork roast in a resealable plastic bag. Combine marinade ingredients and pour over meat. Make sure all is coated well. Seal bag and place into the refrigerator for 2-4 hours. Combine sauce ingredients in a large saucepan over medium-high heat. Let the liquid come to a slight boil, reduce heat to low and let simmer for 12-15 minutes. The sauce should be thick enough to coat back of a spoon. Remove half of the sauce for basting and leave the remaining to serve with pork. Place into refrigerator until right before serving roast. Remove roast from the mixture and save marinade in a small bowl for basting. Follow grill instructions to place roasts securely on the spit. Grill roast over indirect heat for 45 minutes to 1 1/4 hours, or until internal temperature reads around between 160 degrees F/75 degrees C.
Brush frequently with marinade during the first 30-45 minutes of cooking. Once cooked, remove roast from heat and let rest for 10 minutes before carving. Rewarm reserved sauce in microwave or saucepan. Serve drizzle on top of meat or on the side.